We’ve asked a few of our repeat captains to blog about what it takes to be a captain and how they manage their teams. This week, Brian Darrow discusses Planning & Recruiting a Ragnar team. One of the most rewarding things about serving as the captain of a Ragnar Relay team is the general feeling of satisfaction you get from the smiles and high fives of your team as they cross the finish line. Getting them to that point? Well, that takes some effort. Whether your team is made up of friends, enemies (what were you thinking?) or complete strangers; getting 12 or even 6 busy people to show up and perform on cue is never as easy at it first seems. Here are a few things you should know as your team comes together for their next adventure. Before you do anything, plan out the weekend.  Figure out where you’ll be renting the vans, where you’ll be staying, and how much gas you’ll be using driving between all those places and while on the course. Next, figure out how much those things are going to cost. Then, book the vans and the hotels. Most car rental places and hotels require a credit card at the time of booking, but don’t actually charge the card until you pick up the vehicle or check in. You can usually cancel car rentals at no charge right up to the day of the rental. Most hotels require 24 hours notice for penalty free cancellation, but it may be up to a week for others. In any case, your team will have come together (or not) well before then, so you can cancel rooms or vehicles as your plans change. Now, you don’t have to worry about the hotels and van rental companies selling out and you’ve got a good idea how much everything is going to cost. Don’t forget to factor in the costs of miscellaneous things like insurance for the vans, decorations, costumes and food. That’ll come in handy because people generally don’t like surprises when it comes to spending money. 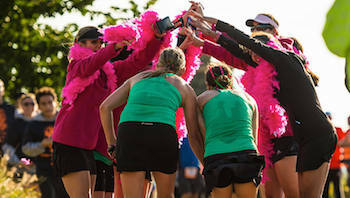 Most captains start the recruiting process with a group of people who want to run the relay already available. The rest of the spots are filled with friends, friends of friends or complete strangers. 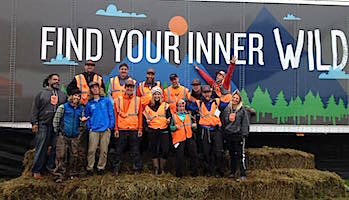 If you’re stuck with a few open spots that you can’t seem to fill, you can use the Ragnar Team Finder. 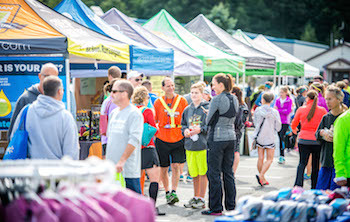 Simply log into your account at ragnarrelay.com (create an account if you don’t already have one), and click the “runners looking for teams” link on the right hand side of your dashboard. You’ll find a list of all the runners looking for teams. Clicking on a runner’s name will bring up a profile of that runner with their pace, phone number and email address. Once you’ve registered your team, you can click the check box on the right hand side of your team page to indicate to others that your team is looking for runners. 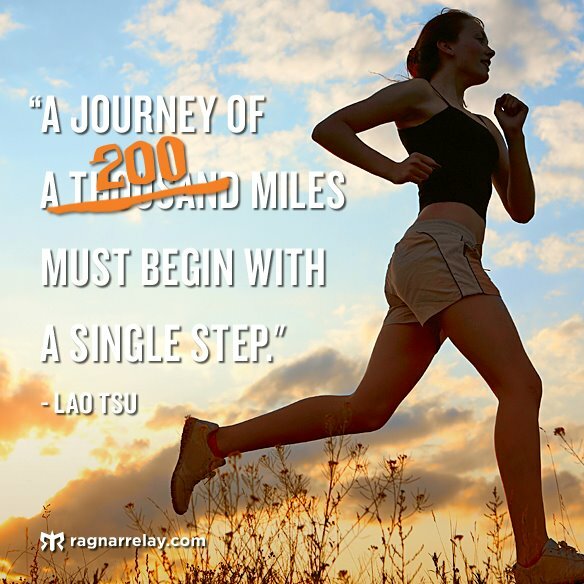 Another great place to recruit is the Ragnar Relay Series Facebook page. While the general Facebook page gets the most views, there are also specific pages for each event. Many individual runners post their desire to find a team on the “walls” of these event pages. Likewise, you can let everyone know you’re looking for runners and post a little bit of information about your team. Stay tuned for his post next week about managing the money, getting prepared and packing! 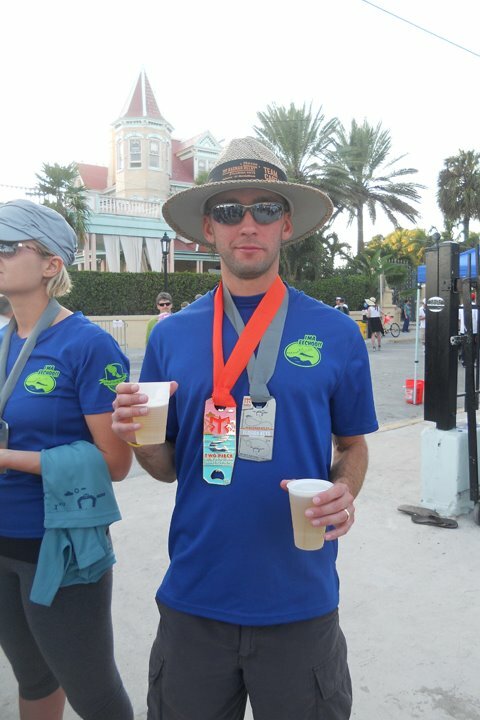 Brian Darrow has captained seven Ragnar Relay teams and plans to complete eight of them in 2012. You can read more of his articles about running, find training plans and join one of his Ragnar Relay teams at digitalrunning.com. Not quite sure what or how to pack for your next Ragnar? Our Madison based Ambassador, Katie of @KatieTris, shares her packing advice with us below. Catch her at Ragnar Chicago in June! Let it be known that I have never been a light, only the necessities, less is more, sort of packer. In fact I would describe myself as more of an “everything but the kitchen sink” sort of packer. I mean a girl’s got to have options, right? And the truly amazing thing? I was not the one with the most gear in our van. Ragnar is different than packing for a marathon, a triathlon, or any other race for that matter. It’s different than packing for a weekend getaway or camping trip. The bottom line is that you are spending 24+ hours living out of a van with 5 of your, soon to be, closest friends. During those 24+ hours you will be running multiple times, attempting to sleep, probably going out in public, and who knows what else. Running clothes: Head-to-toe clean set of clothes for EACH leg I run. This is crucial as clean, dry clothes are much more comfortable and will reduce the risk of chaffing, etc. My first time around I included a lot of extra running clothes because ‘what if”?!? I packed a warm top and running tights, in June, because “what if” it was unseasonably cold at night. I packed two shirt options for just about every leg because “what if” I changed my mind. I packed an extra pair or two of shorts because, well, “what if.” I’m a girl that likes options, but in all seriousness, I didn’t wear half of the clothes in my bag. Check the weather the day before and adjust accordingly. I can promise, from experience, that it will be ok if you have to wear the outfits you packed. Comfy Clothes: I cannot stand to sit in my soggy workout clothes for much more than 5mins after I’m done. I found a tank top, t-shirt, yoga capris, skirt and a sweatshirt covered all my bases. And clean socks and underoos, obviously. A skirt? Is that really necessary? For me, yes. Having a longer, lightweight, skirt made changing discretely in a the backseat of a van easy and also let things air out a bit, if you know what I mean. Shoes: 2 pairs of running shoes and a pair of sandals. It has rained at both Ragnar’s so having a pair of dry shoes has been clutch, and the sandals were a great way to stretch (and air out) my piggies between legs. Food and Water: Obviously having a few go-to items that you know you crave post-run is key, but remember that you really are only in the van for 24+ hours. And there are plenty of convenience stores and restaurants along the way. Ragnar also has food for sale at the major exchanges (pasta dinner, PB&J, pancakes, etc). I promise there are no shortages of options along the way. Be sure to decide as a van before Ragnar as to whether or not you will be stopping for meals so you know how much you need to bring. It’s also a great idea to bring one of those giant 5G water coolers for the van to refill your water bottles from. Same thing on snacks. Our driver made the most amazing trail mix for the van that we all grazed off of for the trip. A few sweet and salty options for the van to share is probably all you need. Sleeping: Both Ragnars I brought something to sleep on, and neither time did I use it. I am a very good car/van sleeper, so I opted to sleep in van seat and got enough shut-eye to get me through. Had it been wicked hot that probably wouldn’t have worked out quite so well… A pillow is a must have for me, but I will likely forgo the sleeping pad and/or yoga mat and sleeping bag going forward. I saw plenty of people setting up tents to sleep in but can’t say I understand it. When you only have a few hours to sleep do you really want to spend a portion of that putting up, and taking down, a tent? My first Ragnar there was indoor sleeping at two of the major exchanges, so getting out of the elements wasn’t an issue. My second Ragnar had indoor sleeping at one of the exchanges, but the weather cooperated so sleeping outside wasn’t an issue. Be sure to read up on what the major exchanges offer ahead of time so that you can plan accordingly. Two things I would highly suggest are a sleep mask and ear plugs!! When you are trying desperate to catch a few zzz’s in a busy parking lot or school gym you’ll thank me for the suggestion. Everything else: Sunscreen, bugspray, toiletries, towel, etc. Bring ’em. Books, computers, magazines, etc. Leave ’em. Every van should have at least one photographer in the bunch to capture those candid moments, but if you’re not a picture-taker don’t sweat it. Baby wipes. BRING ‘EM! And of course don’t forget the Ragnar required bits and pieces like headlamp, taillight and reflective vest. I’m sure that some of you are reading this somewhat mystified and awed by the amount of stuff I thought I needed for Ragnar…both on on my first trip and even my revised, trimmed down list. Packing light is second nature for some. You know the ones that manage to pack for a 2wk vacation in 1 carry-on sized suitcase? I clearly am not one of those gifted individuals. Or my clothes are bigger. Whatever the case, I’m getting better. Bottom line is that the less stuff you have in the van the more room you have to sprawl out and get comfy for one heck of a ride! “Remember this? You ran this,” came a call from the back of the van. Piled into our van one last time, we effortlessly retraced the miles that we just worked so hard to tread over. Past all the charming Cape Cod homes and lobster shacks. It all seemed so familiar and yet so different. For starters, we were clean. Rested? Debatable. Ragnarians? Most certainly. Some 30 plus hours earlier, we began in Plymouth, MA as 10 runners and two Ragnar vets, and finished on the beach as 12 Ragnarians. Ragnar Cape Cod, perhaps ended like one of those dreams. The ones where you pass from place to place as easily as moving through rooms in a house, except each room is just different enough to let you know something isn’t quite right. The kind that seems to stretch on for an eternity and yet be over all at once. We took warnings about “aggressive wildlife” to mean wild turkeys and decided to puff out our chests, wiggle our arms, and gobble loudly like, well, like wild turkeys before handing off each slap bracelet. We couldn’t explain the unwelcome nervousness in our stomachs prior to our first legs, nor the calm that settled in at sundown as we prepared for our second one. We invented songs about our driver and about our grandmothers. We let Siri do our texting and talking for us, with mixed and sometimes very disturbing results (“Breaking water at the turds?” Who knows?). We discovered the magic of salami sandwiches at all hours of the day (or night or morning). We wondered where all the beef jerky and Hershey kisses went. We grew uncommonly attached to the beaver flag hanging from our car and shrieked went it fluttered down onto the shoulder of the road, just like Tom Hanks losing Wilson near the end of Castaway. We laughed. And laughed, and laughed, and laughed…. We hunkered down in our sleeping bags ignoring the sunset on the water behind us, while the waves washed ashore as though it were 3:30 in the morning, when the clock only read 7:30 p.m.
We tried to grasp whatever sleep we could to prepare to do it all over again…and then one last time. We ooh’d and ahh’d at the exchanges that finished on the beach but ultimately longed for cake Oreos and Cheez-its. We vowed to stay awake until the last runner in the middle of the night finished before succumbing to sleep. We crossed the finish line together and sipped on the greatest beer ever to pass our lips. But it was exhaustion, not beer, that gave us the “Ragnover” the next day. Though it was my third Ragnar, I came to realize that by the end, we are inherently newbies because each Ragnar is different. When it’s all over, you can’t remember all of the details at once, but pieces of it return to you when you least expect it and you find yourself laughing all over again. As the exchanges flashed by the van windows again, we softened the finality of it all by pulling out the Rag Mag to pick a race for next year. After all, the best cure for a Ragnover is to start running another one again. Open: Where in the World is Ragnar? Where in the World is Ragnar? painting, a quaint shop, an alley, or a stoop that you would otherwise whiz by in a car or on a bike. In the countryside, on trails, your feet unearth the scents of fresh air, foliage, flowers, and greenery. Your quads power up hills and over tree trunks. Running gives us a pause button to take visual snapshots of the journey. Zurich’s RC8K, Hong Kong Harbor Runners – who also converged on Berlin for the race. the collective energy of a team supporting you. 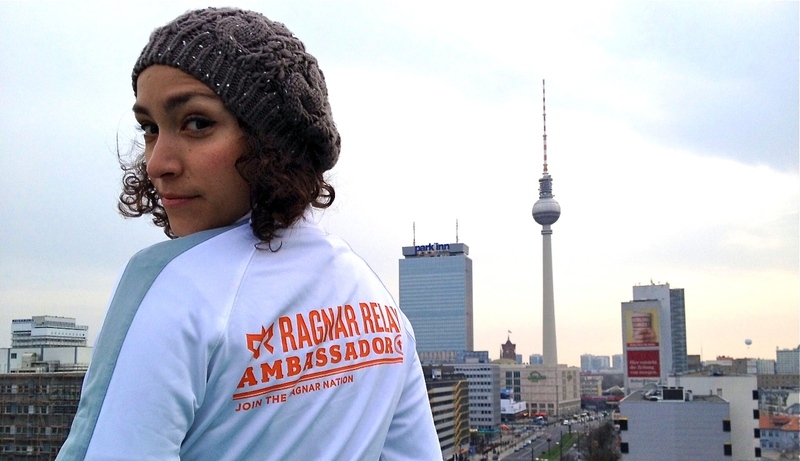 imagine doing this with 11 teammates as part of an International Ragnar Relay? If our teams can traverse Southern California and the Florida Keys, we can race from Berlin to Prague, or Madrid to Valencia.  An international Ragnar Race would give U.S. Ragnar teams a chance to explore on foot while simultaneously encouraging international running crews to find their Ragnar. The drumbeat of a 24-hour running party in Cape Cod on May 11 will bring me home to the United States. Will I see you there? voice behind SHUTUPANDRUN, a site for people who sweat with swagger. Robin is training for Ragnar Cape Cod and a 50-mile ultra marathon. Europe at shutupandrun.tumblr.com and on Twitter @RobinNYC.